In latethe 197050s, when Hakuhinkan Theater opened, a theater district had been already formed from Hibiya to Kobikicho in the Ginza area. Most of the theaters therethem were large enough to hold theaters with more than 1,000 seats, in other words, we can describe that they were Japanese version of seats, and they looked like Broadway. in Japan, so to speak. It was Hakuhinkan Theater that was settled as a compact musical theater with less than 400 seats on Ginza Street, being conscious of Off-Broadway needless to say. 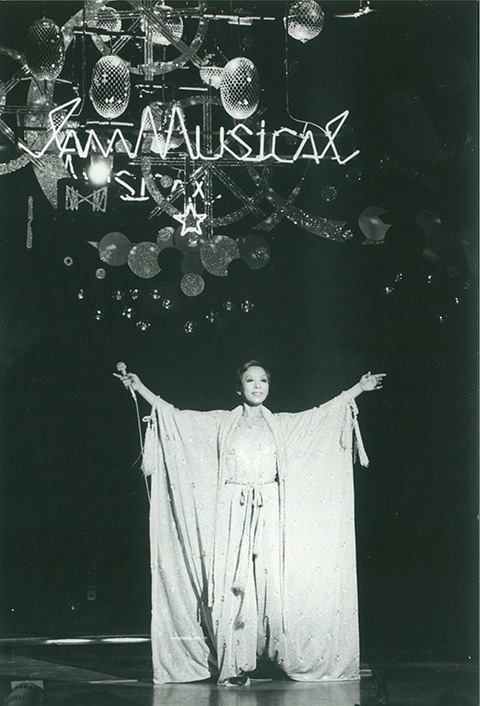 In October, 1978, It opened with "I Am Musical" by Maho Shibuki on stage. After that, an opening memorial performance was Frenz Lehar's operetta "Das Land des Lächelns (Hohoemino Kuni)" directed by Tetsuzo Shirai followeded by "Seeasaw" performed by Maho Shibuki and Masumi Okadawere held. Also, from the following year, "The American Dance Machine" was invited every year for consecutive three years from the following year, shocking and gave a shock to Japanese theater dance scene. 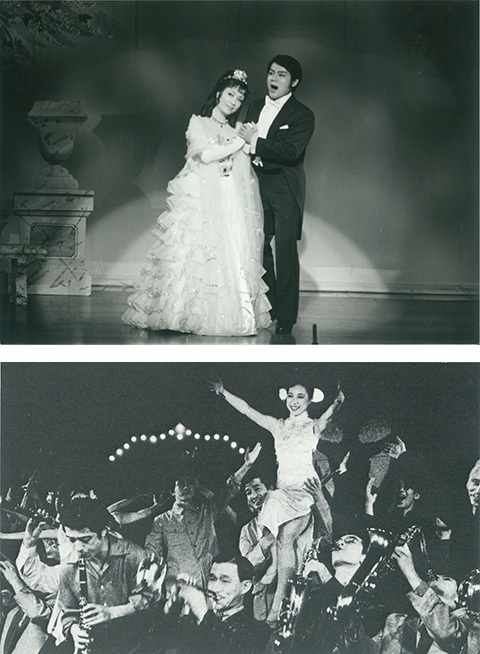 In 1985, a great Broadway star, Chita Rivera, a connoisseur who was known to those who knew in Japanwould know then in Japan, was invited to perform, and "Chita Rivera Show" was performed which dramatically increased the public profile of . It became a performance greatly increased the name of Hakuhinkan Theater. On the other hand, musicals such as On-theater Liberty Theater’s repertoires included "Shanghai Vance Bank King" and musicals "The Umbrellas of Cherbourg"　and, "Little Shop of Horrors" being worthy ofsuitable for musical theater were repeatedly performed. Not only musicals but also good quality straight-plays have been on the stageperformed. 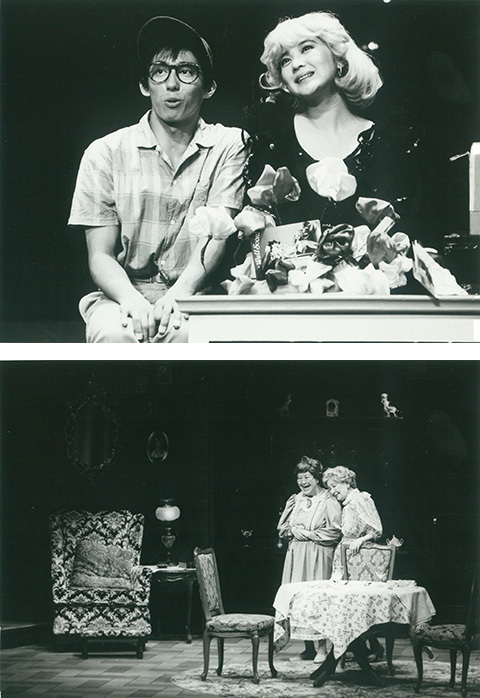 To raise anOne example, is it was "Poison and Old Maid" by a reputed actress, Tanie Kitabayashi of The Mingei Theater Company invited to theatrical troupeThe NLT Theater, and realized co-starring with Natsuko Kahara in 1987. This work has become an important repertoire not only for theatrical troupe NLT but also for Hakuhinkan Theater　, and has been performed repeatedly until now. Chairperson of Hakuhinkan Co., Ltd.